The German offensive in Flanders in April 1918 came close to catastrophe for the British Armies, but ultimately ended in strategic defeat for the Kaiser’s men. Following closely on the heels of the devastating ‘Operation Michael’ attack in March on the Somme and around Arras, named as ‘Operation Georgette’, the offensive was aimed at strangling the vital railways and roads that supplied the British at Ypres. Having assembled an overwhelming numerical advantage, the Germans attacked in thick fog on 9 April 1918. They faced tired British formations that had just been relieved from the earlier battle and which were receiving replacements, mainly in the form of 18 year-old conscripts. By the day’s end, the Germans had succeeded in gaining a crossing of the River Lys and were well on their way to the vital railway junctions at Hazebrouck. Several British divisions were deployed to stop the advance, only to be effectively destroyed in the attempt over the next few days. Gradually, fresher British, Australian and French reserves arrived and held their ground. With disappointing results, mounting casualties and a diminishing return for their efforts, the Germans abandoned the offensive and turned their attention further south. 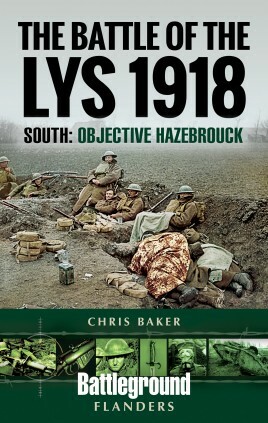 What the British call The Battle of the Lys 1918 is a fascinating yet curiously neglected period of military history. 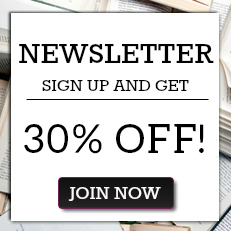 Chris Baker examines this major battle from the strategic down to the platoon level, highlighting the key events, characters and acts of enormous bravery on both sides, both in a historical narrative and in a series of tours of the area. This volume, one of two on the battle, concentrates on the southern half of the battlefield.